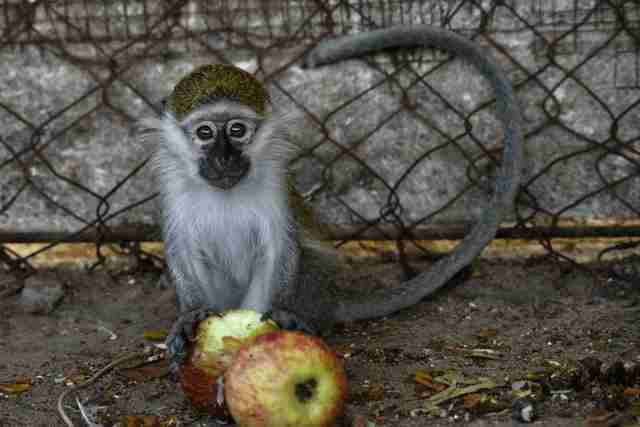 The turmoil raging in the Gaza Strip is taking a serious toll on the animals of the Al-Bisan Zoo, which was hit by several air strikes during the fighting. Eighty animals have already perished from the attacks or from lack of food which leaves only 20 animals left at the zoo. 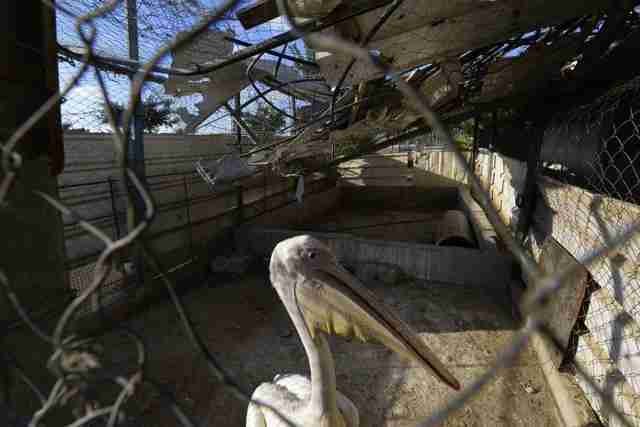 The zoo, which is part of the Al-Bisan recreational park in Jabalya, was hit last month during fighting between Israeli and Hamas militants. Now, emergency workers have arrived to help the animals, many of whom are living in horrific conditions and desperately need medical care. 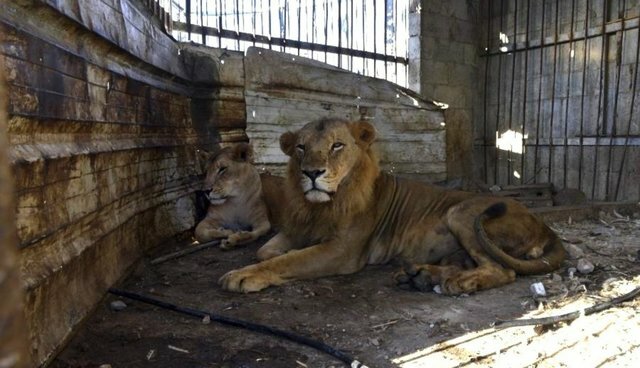 "Most of the enclosures have been severely damaged," said Dr. Amir Khalil, leader of a rescue team with the organization FOUR PAWS, which is in Gaza now to assist with animal care. "There are several dead animals lying around. 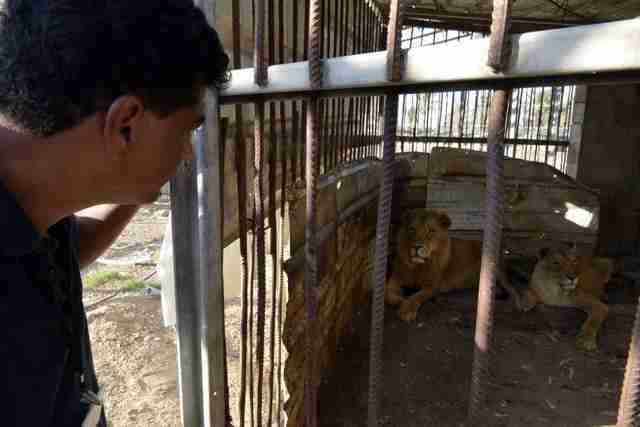 The few surviving animals, among them three lions, are traumatized, ill and very weak." 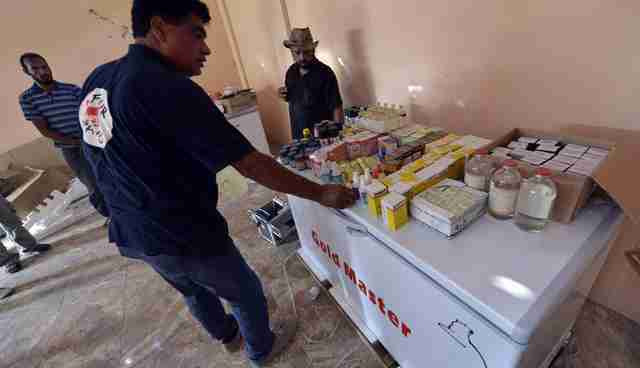 Veterinarians and rescuers brought antibiotics, disinfectants and de-worming medication with them to the dilapidated zoo, and are now administering medical care. They also brought fridges and deliveries of food for the starving animals. Now, workers on the ground are assessing the situation, and deciding whether they can transport the lions to a safer location. Khalil said the decision will be made within a few days. Because of security reasons, volunteering on the ground is nearly impossible - a spokesperson for FOUR PAWS said that they needed a military convoy just to get into the city. But you can donate to Four Paws' efforts to save the remaining animals here.